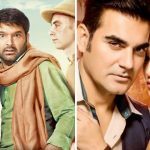 Stand-up comedian turned actor-producer Kapil Sharma is going through a tough phase of life, everyone knows what happened to his show which was once the most popular Indian TV show. 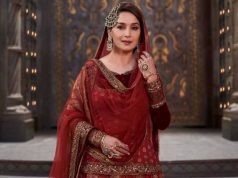 His struggle continues in film career as well, Kapil’s recent offering Firangi got failed to impress viewers and registered average business in the weekend, which is lesser than what his first film Kis Kisko Pyaar Karoon (10.15 crores) did on the opening day. 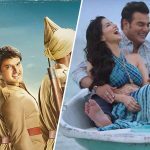 Directed by Rajiev Dhingra, period drama Firangi was released with some sort of buzz at box office and received unfavorable remarks from critics as well as audience due to weak execution. On the opening day, it recorded low occupancy across the country and did the business of only 2.10 crores. On the next day i.e. Saturday due to weekend, the film showed little drop and raked the business of 2 crores. Then on Sunday, it minted the amount of 2.50 crores with slight more growth and raised it’s opening weekend total collection to 6.60 crores at domestic box office from 1150 screens. On the other hand, Sunny Leone & Arbaaz Khan starrer romantic drama Tera Intezaar has received disappointing reviews and got failed to show desired performance. 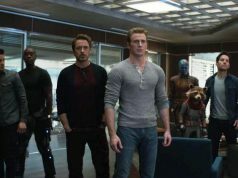 On the opening day, it reported very low occupancy and registered the business of only 0.50 crore. 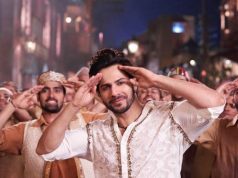 While over the weekend despite the star power of Sunny Leone, Raajeev Walia’s directorial remained almost flat and garnered the business of 0.45 crore on Saturday and 0.55 crore on Sunday. With this, it’s first weekend total domestic collection has become 1.50 crore.